Zoids: Battle Legends (aka Zoids Vs. II in Japan) lets players customize their own personal Zoids, then jump into battle against the computer AI or an opposing player. The game features characters taken from the series as well as introduces a few new ones. The main mode is the mission mode, where players pick their sides (Empire or Republic), then take on multiple enemies on the battlefield. 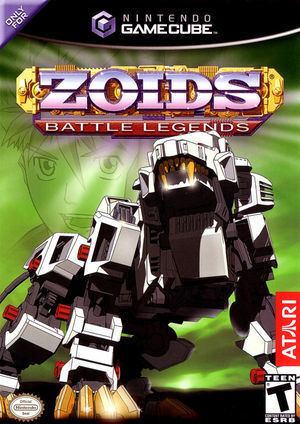 There is also a Zoid Battle Mode, where the player can face off against Zoids of his/her choice, complete with intros and special attacks straight from the series. Up to two players can go head-to-head in versus mode. The graph below charts the compatibility with Zoids: Battle Legends since Dolphin's 2.0 release, listing revisions only where a compatibility change occurred. This page was last edited on 18 March 2019, at 08:20.